APPSC sent mismatched admit card to aspirants but , need not to worry said APPSC Chairman Nabam Nipo. 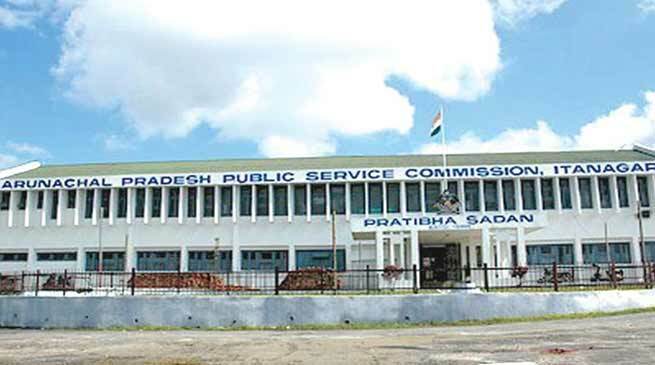 In what may be termed as another mistake by the state highest recruitment agency, the Arunachal Pradesh Public Service commission (APCPSC) has reportedly dispatched envelopes with correct address of candidates written over it but wrong admit card inside to scores of aspirants of APSCCE-2017 Mains Examination. The distribution process of admit cards commenced on October 12 to all qualifiers of Mains exam scheduled to begin from November 10 -20. However soon after the process commenced few students posted in social networking sites that though envelopes containing admit cards delivered to the correct address but with a card of the wrong person. While many trolled the Commission for being so careless, few posts in the comment section suggest that the commission should have been cautious enough to prevent such mistakes considering the importance of the examination. With screenshots of the many more such cases going viral on social media, those aspirants living in interior districts are now fearing if they will ever receive the admit cards or not. The Commission Chairman, Nabam Nipo however, distanced itself from the debacle and explained away the faux pas in distributing the Admit Card by saying that “Aspirants need not have to worry”. “It is not a serious issue, student need not fear as the error might occur during pasting the names of candidates and their addresses in envelopes. I believe that there may have been a mix-up in the inserting of envelopes,” he clarified when contacted. “There will be two centres in state capital one at Kingcup School and other at APPSC centre Hall, any aspirant facing such problems may contact commission directly or centre superintendent and even the Magistrate on duty during examination with their identity card so that corrective measures can be initiated,” since we have the registration no and name and other information of the candidates and would not be a serious issue. he said. He continued that the commission has decided to open a help desk to address such problems of aspirants relating to the examination. “But they must accompany with a valid ID card as identity proof to avail duplicate admit card,” he further added. Moreover, Nipo informed that so far the commission hasn’t received such complaints from any aspirants.